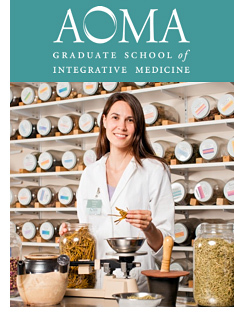 AOMA is a leader in acupuncture and Chinese medical education, health care, and policy-making. Students at AOMA benefit directly from the school's strong reputation. Since its founding in 1993, AOMA has grown rapidly in size and reputation, drawing students from around the nation. The institution offers a rigorous curriculum, internationally renowned faculty, study abroad opportunities, demonstrated student success, and a supportive community in a dynamic city. As a regionally accredited institution, AOMA ensures a high level of educational quality and effectiveness for students. The DAOM program prepares master's level practitioners in the care and management of patients with pain and associated psychosocial phenomena. The program prepares students to become leaders within the field of acupuncture & Oriental medicine and to take part in the foremost emerging trends within national health care. Offered in a modular format, students can easily maintain their clinical practices while enrolled in the program.